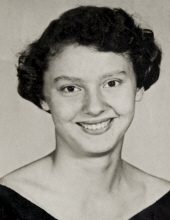 Nancy Lee Alston Melton, 80, of Creswell died Monday, February 4, 2019, at Roanoke Landing in Plymouth. Born October 19, 1938 in Halifax County she was the daughter of the late Robert Fort Alston and Myra Charlotte Wood Alston and was preceded in death by her grandchild, Brooke Byrum; brother, Boyce Alston; sisters, Ethel A. Glasgow, Leatha A. Glasgow and Marjorie A. Johnson. Nancy was a homemaker and attended Mt. Tabor Free Will Baptist Church. During her working years she was employed as a substitute teacher with Washington County Public Schools, a quality control worker with Seabrooke Blanching Co. and a customer service representative with Roses Department Store. She was a volunteer EMT with Washington County Hospital for over 10 years. She loved baking cakes for weddings, birthdays and the Future Farmers of America banquets. She had a special love for her dogs and cats and enjoyed caring for them. Her family includes her husband, Jesse Daniel "J.D." Melton of Creswell, N.C.; daughters, Mary Melton McCurry and husband Douglas of Charlotte, N.C. and Jennifer Melton Tingen and husband Kenny of South Chesterfield, Va.; sons, Jesse Daniel Melton, Jr. of Knightdale, N.C. and Christopher Paul Melton of Tyner, N.C.; sister, Dorothy A. Davidson of Halifax, N.C.; grandchildren, Morgan Pallotta, Alexis Melton, Alex Melton and Micajah McCurry. Memorial service will be held Saturday, February 9, 2019 at 2:00 pm at Mt. Tabor Free Will Baptist Church, located at 2095 Mt. Tabor Road, Creswell. Family will receive friends Saturday at the church following the service and other times at the residence. In lieu of flowers donations may be made to Mt. Tabor Free Will Baptist Church, Amedysis Hospice of Plymouth or Albemarle Commission Meals On Wheels. Arrangements are by Maitland Funeral Home, Creswell. "Email Address" would like to share the life celebration of Nancy Alston Melton. Click on the "link" to go to share a favorite memory or leave a condolence message for the family.